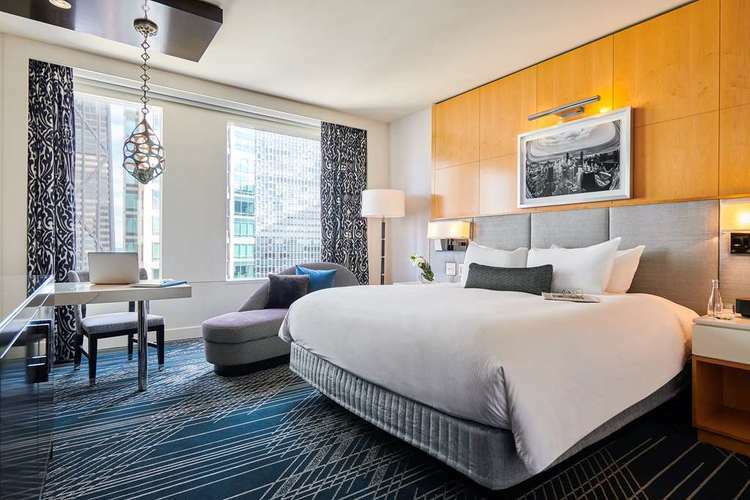 Set in the heart of the prestigious Gold Coast neighborhood, the Waldorf Astoria Chicago is a haven of exclusivity with classic Parisian charm. Guests can relax in one of the 215 elegant guestrooms, richly appointed with fireplaces, wet bars, oversize bathrooms with soaking tubs, and suites furnished with outdoor terraces. The award-winning Spa & Health Club offers bespoke treatments and an indoor lap pool. Serving French cuisine dreamed up by James Beard Award-wining Chef Michael Mina, Margeaux Brasserie exudes the ambience of a vibrant Paris brasserie and Petit Margeaux transports guests to a café along the Champs-Élysées. $100 USD Resort/Hotel credit, Excludes overnight parking, transfers and dry cleaning. Not valid with other offers. No cash value. Not valid towards room rate, tax or gratuity. Not valid towards Spa Merchandise or DreamDry Treatments.